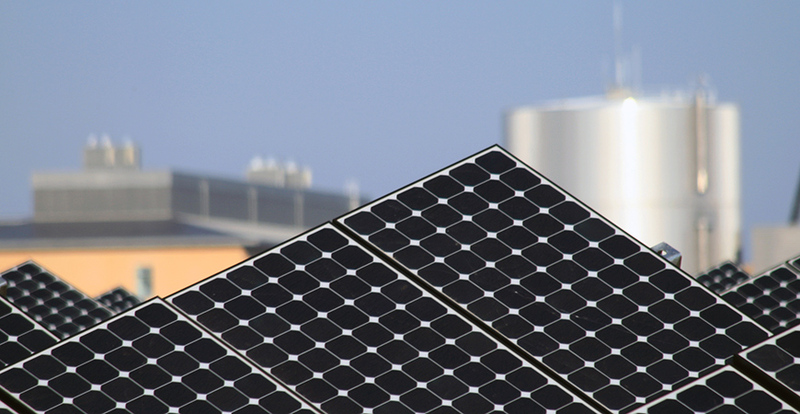 A 1-megawatt solar array helps power the UC Merced campus with a smaller carbon footprint. UC Merced checks in at No. 50 in the Sierra Club’s 2017 "Cool Schools" list, rising more than 30 spots from its previous position in the ranking of sustainable colleges and universities. It’s the fifth Cool Schools appearance in the past six years for UC Merced, which is the only university in the nation to have all of its buildings certified by the U.S. Green Building Council’s Leadership in Energy and Environmental Design (LEED) program. The Sierra Club ranked 227 colleges and universities — up from 202 last year, when UC Merced ranked No. 84 — based on raw data from the Association for the Advancement of Sustainability in Higher Education (AASHE) STARS self-reporting tool. The future of our planet depends on all of us, and our campus is doing its part. UC Merced is on track to meet its ambitious Triple Zero Commitment — to consume zero net energy and produce zero waste and zero net greenhouse gas emissions by 2020. The campus’ LEED Lab course trains students to assess the performance of existing campus facilities. Earlier this year, the Classroom and Office Building became the second on campus to achieve a LEED Building Operations and Maintenance certification, and the first to be certified based on work done by students in the lab. New sustainability initiatives at UC Merced this year include its participation in the Energize Colleges student internship program and a new course on sustainable living spaces — which, like the LEED Lab, positions students to earn their LEED Green Associate and LEED Accredited Professional certifications.